It marks the birthday of Lord Ganesh. Very much celebrated in an auspicious manner in almost all southern & south western parts of India.He is one of the most important dieties of Hindu religion & whenever something starts he is worshipped as a prelude.Another important issue is that Ganapathy is more fond of Modaks or Mothagam which i would like to present to you all at this auspicious moment.Hope you all enjoy. 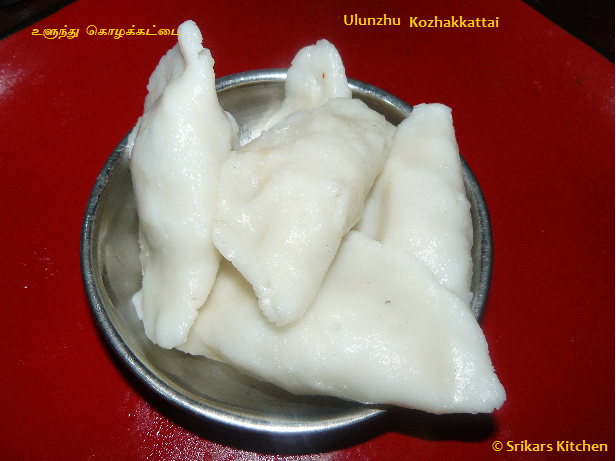 Ganapathy is mostly celebrated with other dishes like Payasam,vada apart from Modaks or mothagam. For more details about Ganesh chathurthi please do click here. Moreover i am back from my Eurotrip & am back in business.Lots of exciting recipees to follow up. Soak the rice min one hour & grind with water to a fine paste .the consistancy is like a dosa batter. Heat oil in a pan, add ground rice & mix well. Cook until a smooth paste.Keep it aside & allow it to cool. Cover the lid & allow to rest. 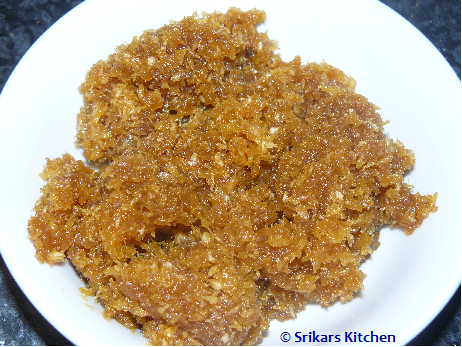 In a separate pan add in the grated jaggery with 2 tbsp of water & mix to dissolve & cook. add in the cardomom. Add in the grated coconut to the jaggery & allow it to mix & allow to cool. 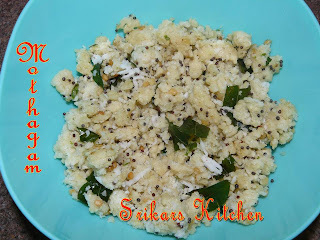 Now coconut Pooranam(coconut stuffing) is ready. Well using the smooth paste made by the rice flour & apply little oil in hand & make a small balls. flatten them to a thin consistency & fill in the jaggery mix. Close from all sides as illustrated . Finish it by steaming in pressure cooker for 5 minutes without whistle. Can be served hot or cold. 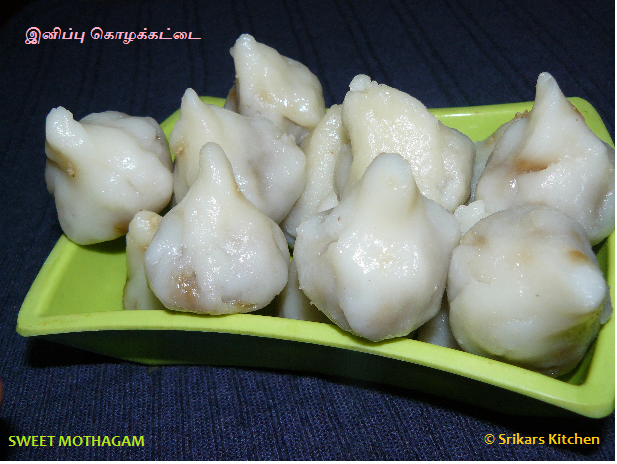 Very much made in all south indian & maharashtrian homes for Ganesh chaturthi. Blend in red chilli, urad dhal & salt in a blender to a crumbley texture.do not overdo it to a fine paste & steam it & make it cool. Heat oil in a pan, add mustard seed, curry leaves & boiled urad dal. Make the same rice flour paste & fill in this spicy mix & make to different shapes & steam in pressure cooked for 5min wihtout whistle. 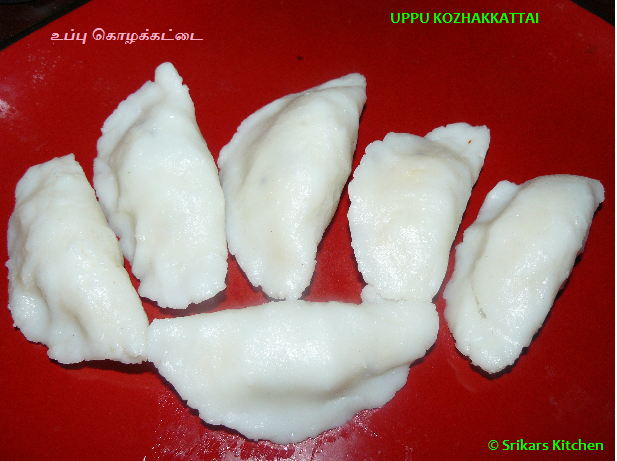 I usually follow the other method (soak, grind & cook) :) Looks perfect and Happy Vinayaka Chathurthi. We follow the same recipe for making modhakas. I have posted it during Varalakshmi nonbu. BTW why dont u join foodbuzz. if interested lemme know will send u the referral letter. Happy ganesh chathurthi to you and family. Welcome back. Hope you had an amazing time. Wow, everything is new to me here but I do love learning about new things. They sound delicious. I love the picture with the leaves. Did you make it?